In March 2011 Stroud received an outstanding full inspection report. The Independent Schools Inspectorate carries out regular inspection of independent schools based on a standard framework agreed by the DCSF and Ofsted. The Early Years Foundation Stage for children aged 3 to 5 years received an outstanding judgement in every category. The report identifies the excellent progress made in their learning and development through a wide range of imaginative activities. They are articulate, industrious and inquisitive and exhibit exemplary behaviour. The team was also very impressed by the woodland environment which provides the children with exciting opportunities for creative and physical development. In the report the quality of the pupils’ personal development is excellent and, following a range of pupil interviews, the team commented on the pupils’ confidence. 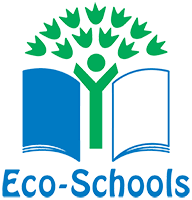 They are proud of their school and are excellent ambassadors with an outstanding social awareness. The team received very positive feedback from parents who appreciate the school’s promotion of good behaviour, worthwhile attitudes and the excellent pastoral support. We were delighted with the team’s findings which owed much to our supportive parents and all the staff in every area of the school. It takes a real team effort to make Stroud such an exciting and stimulating learning environment for the children. Please click here to download a full copy of the Inspection Report. 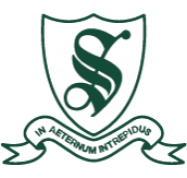 More recently, in February 2017, Stroud underwent a compliance inspection and met all of the standards which are required by the Independent Schools Inspectorate. Whilst this inspection focussed on compliance, its main findings were that the quality of teaching allowed for pupils to make good progress in line with a suitable teaching framework. Pupils’ principles and values are actively promoted and pupils’ welfare is considered at all times. Please click here to download a full copy of the compliance report.